Although AForge.NET Framework provides quite handy IPPrototyper tool, it still can not be used in all cases when computer vision algorithms need to be debugged. There always will be a case when application may crash during development, require stopping at break points, stepping through the code and investigating state of some variables. When it gets to debugging, VS.NET of course provides means for checking state of different variables. However analyzing state of objects like images using a "Watch" window may not be of great help when it comes to checking images' pixel data. 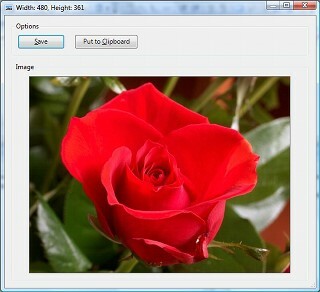 Imagine yourself checking 65536 pixels' value for a 256x256 image, or even few megabytes for larger images! Does it help a lot? Not sure. 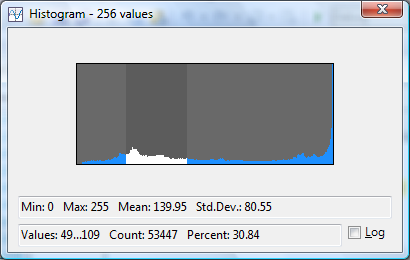 Instead you may want to save the image using "Immediate" window (or do it from your code) and then just visualize it. And it is not only about images - there are plenty of other objects which you may prefer "to see", instead of analyzing values one by one. "Visualizers are components of the Visual Studio debugger user interface. A visualizer creates a dialog box or another interface to display a variable or object in a manner that is appropriate to its data type. For example, an HTML visualizer interprets an HTML string and displays the result as it would appear in a browser window; a bitmap visualizer interprets a bitmap structure and displays the graphic it represents." Clicking the magnifying class opens a visualizing component which is associated with the corresponding data type. That is it. Now when you pause your application, you will be able to visualize objects of the above mentioned classes.